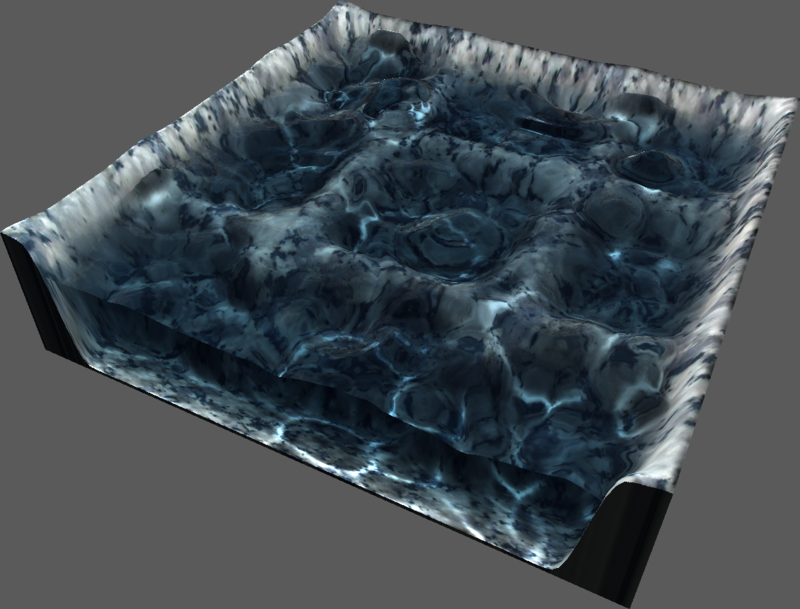 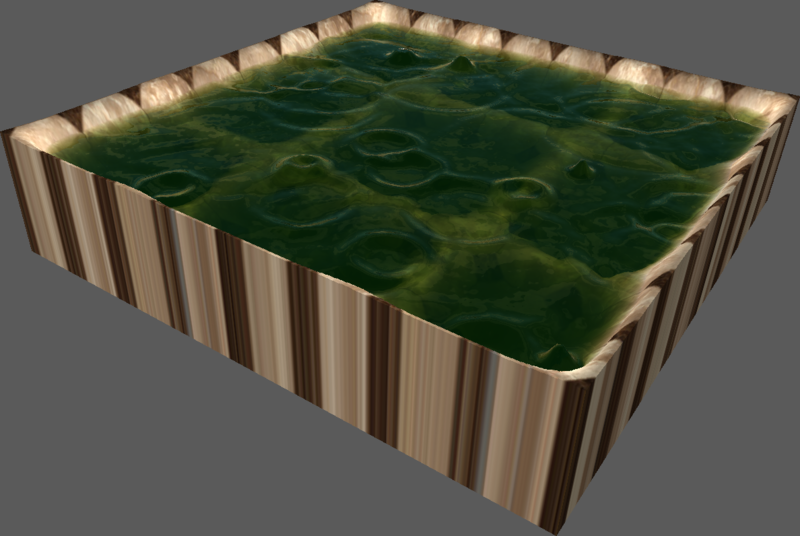 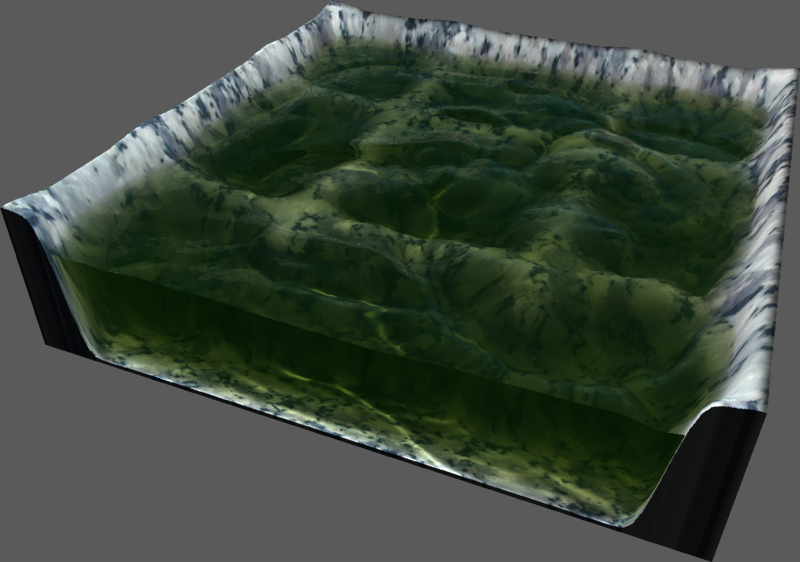 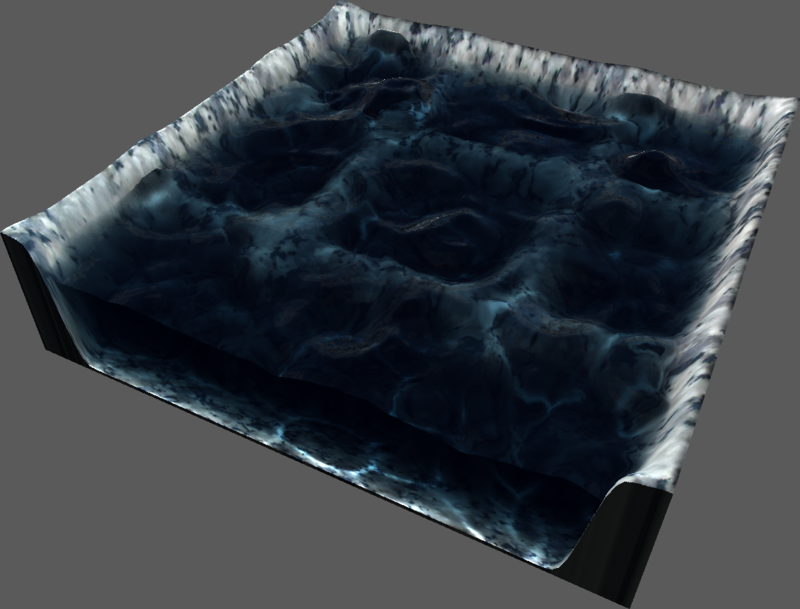 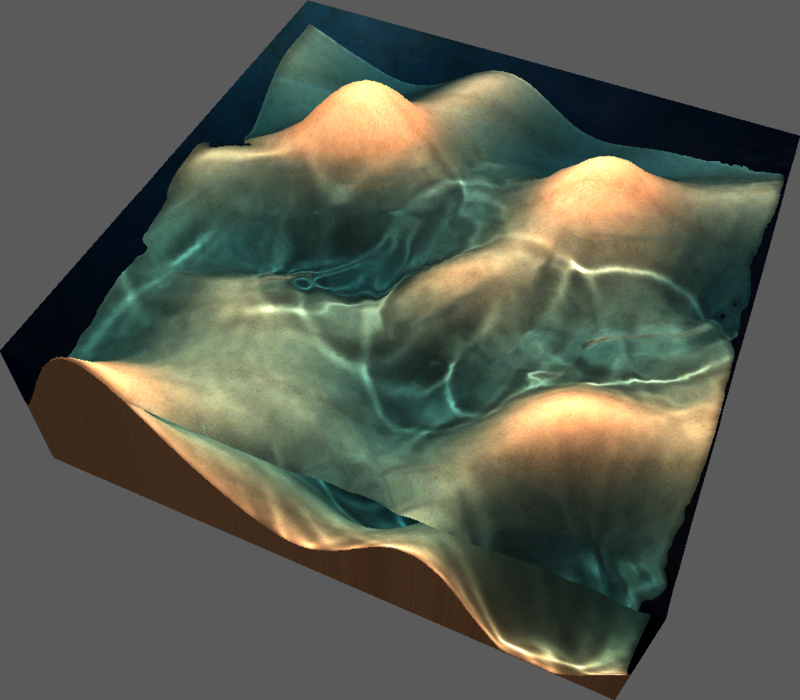 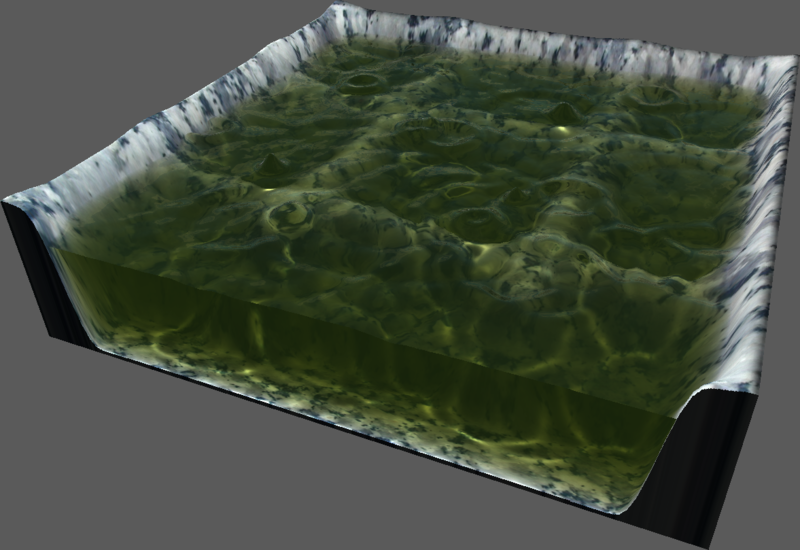 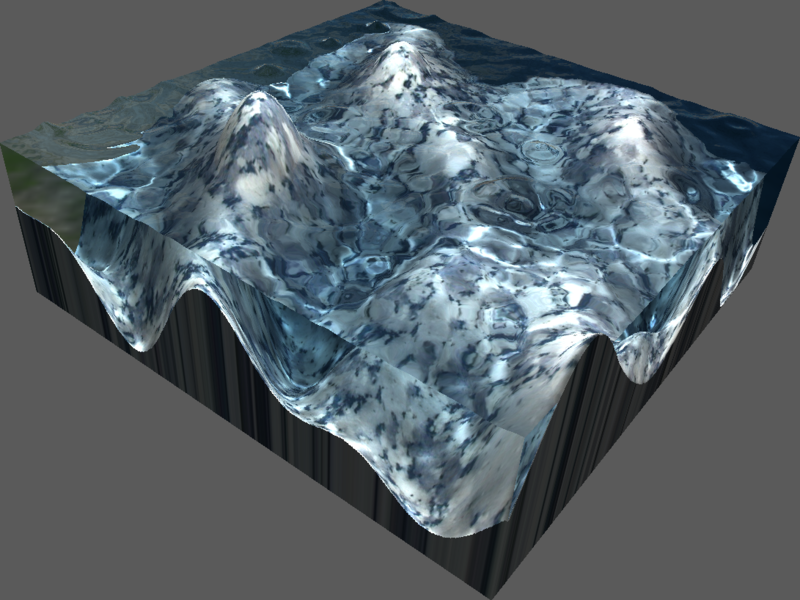 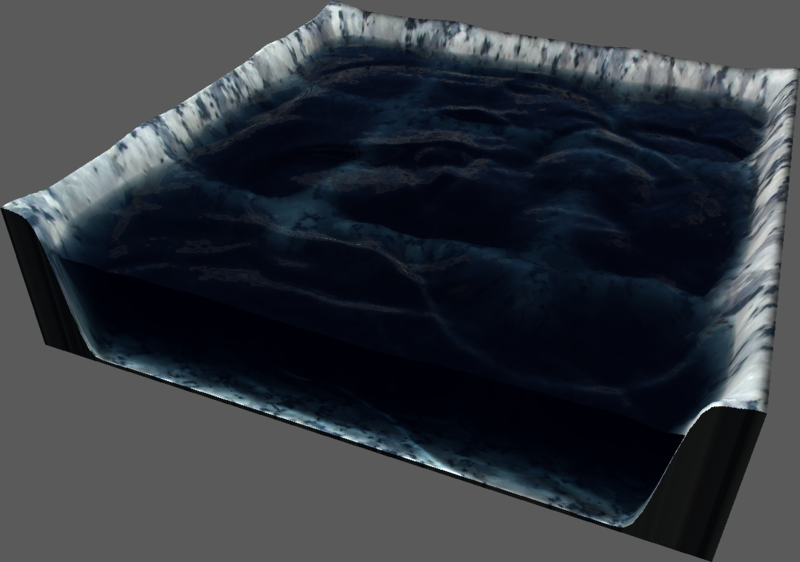 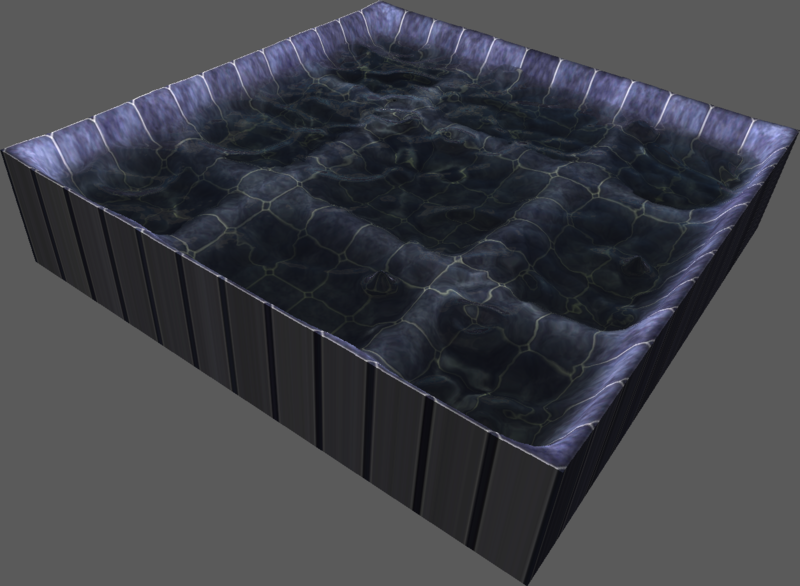 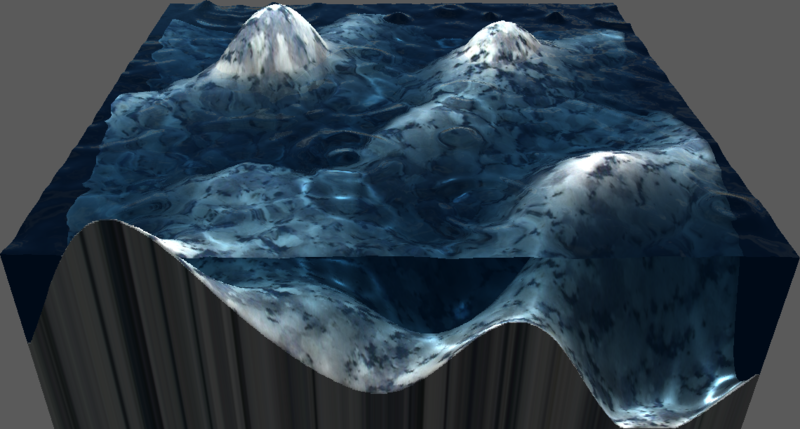 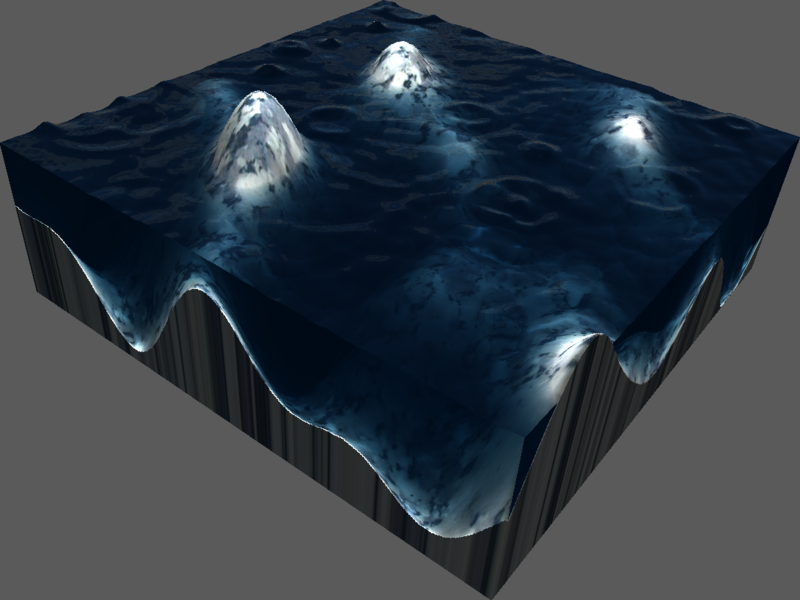 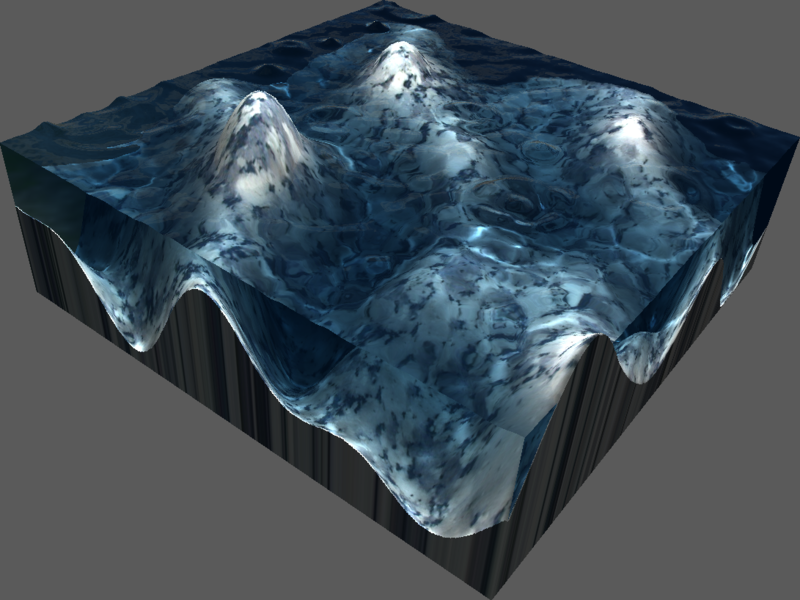 Abstract : We present a real-time technique to render realistic water volumes. 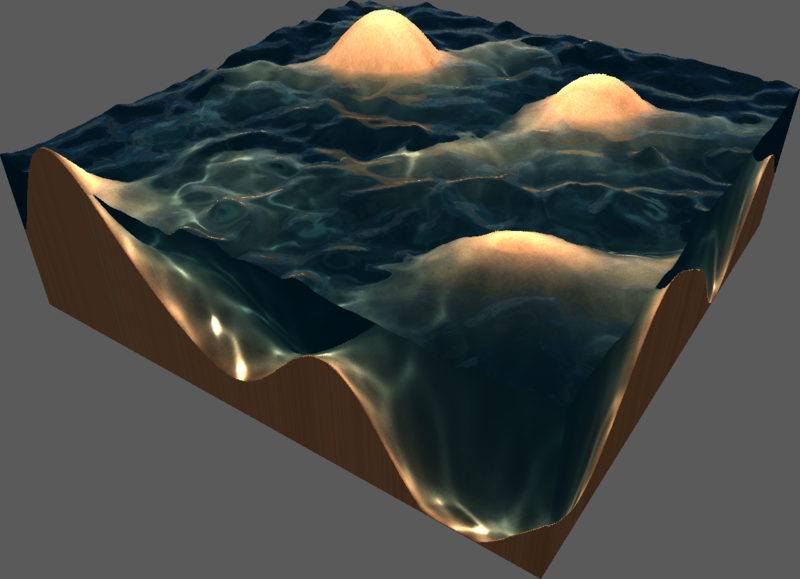 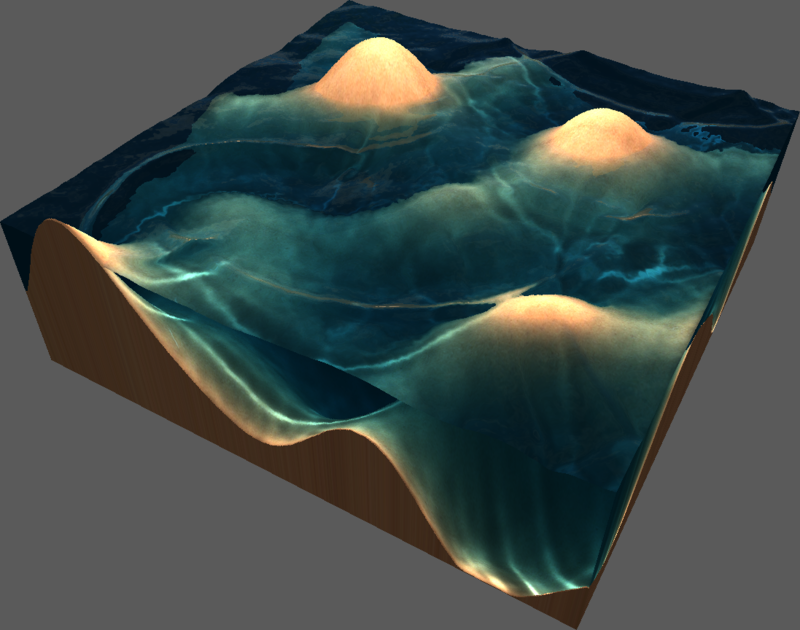 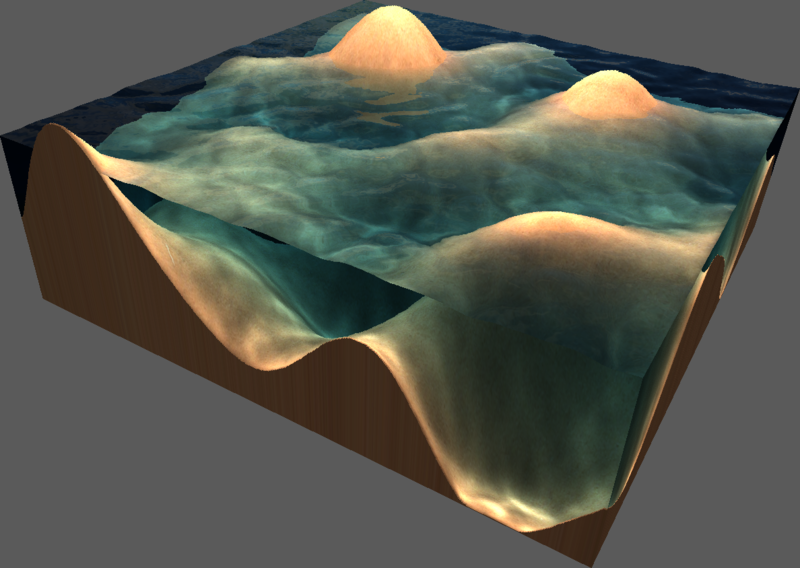 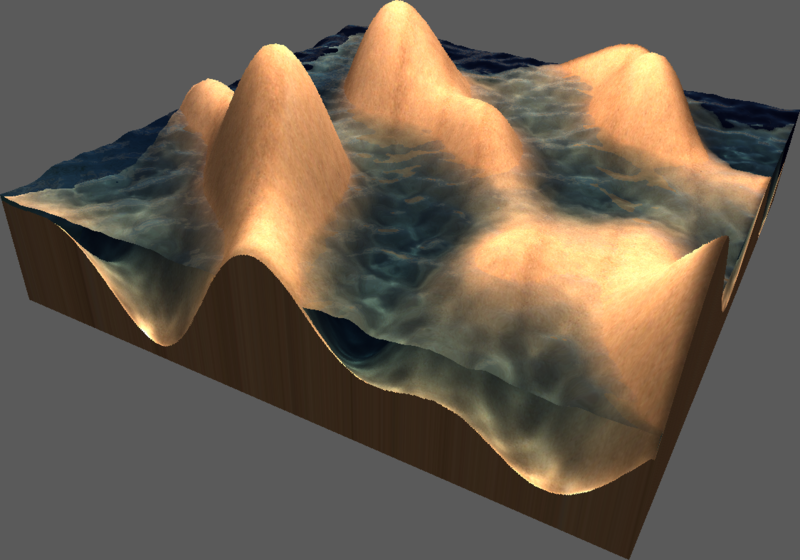 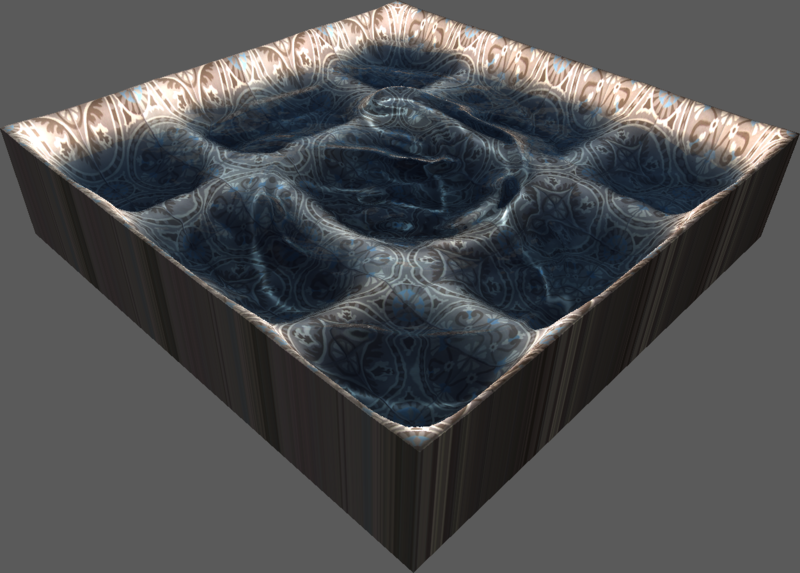 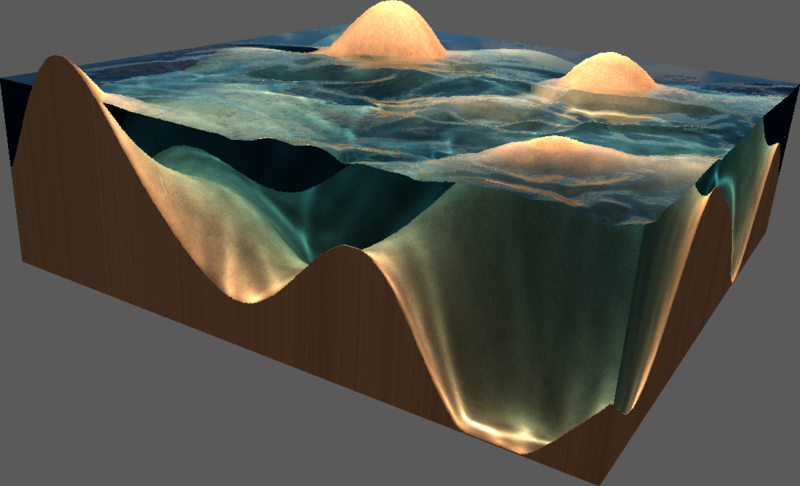 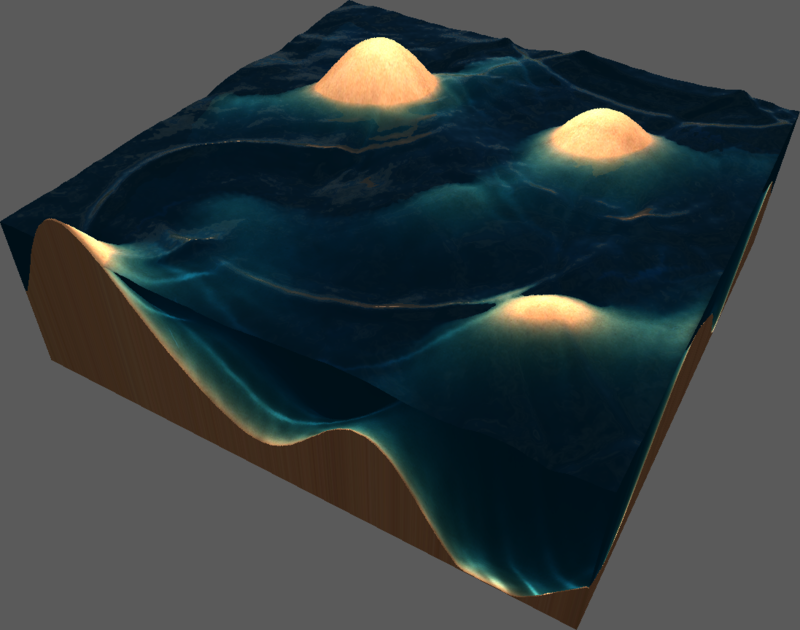 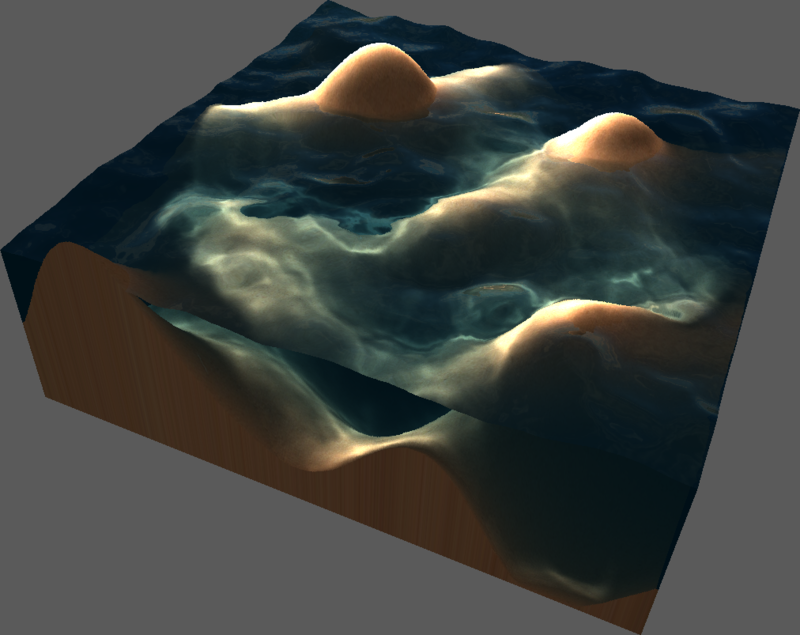 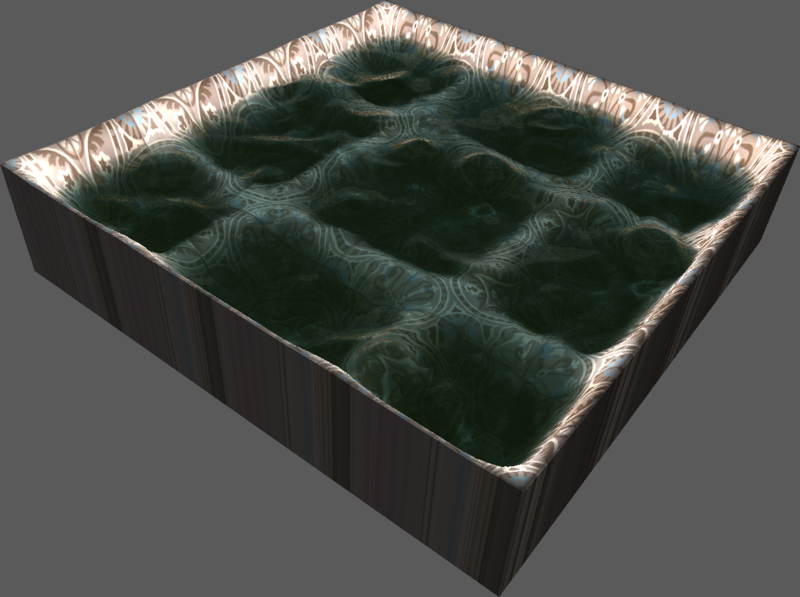 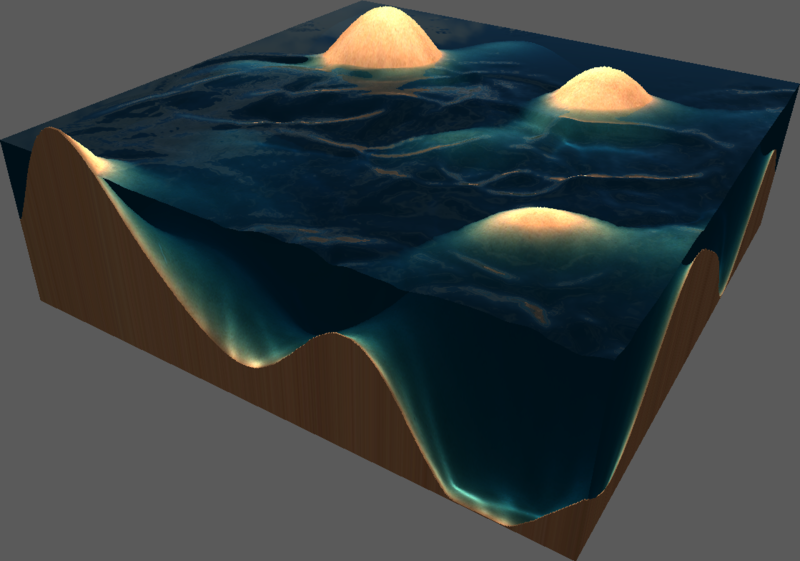 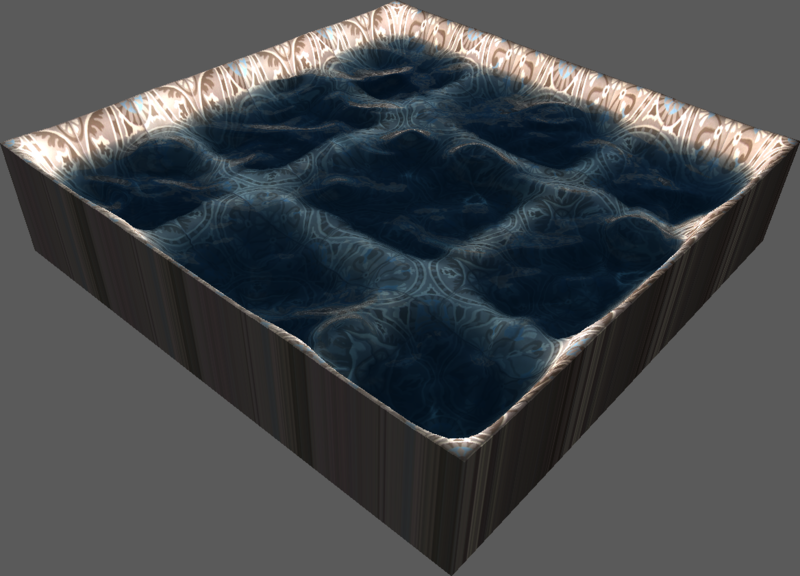 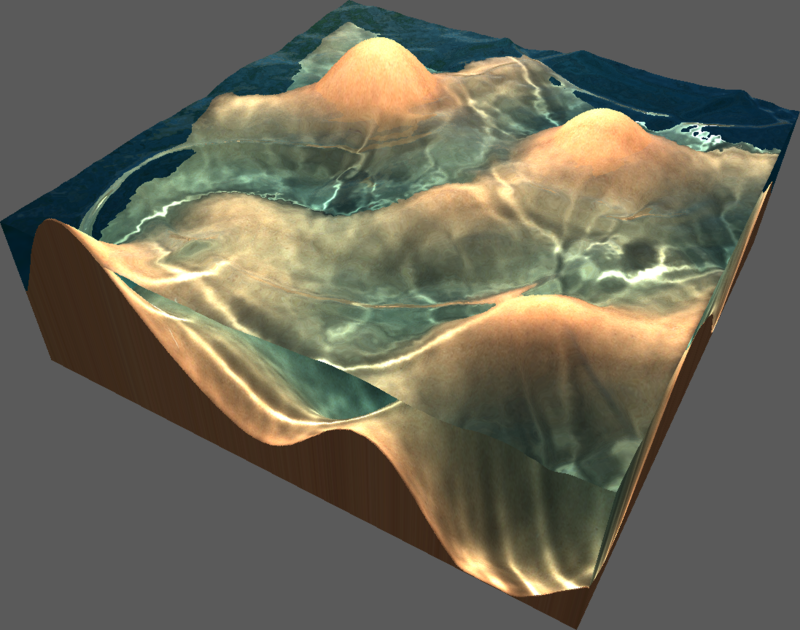 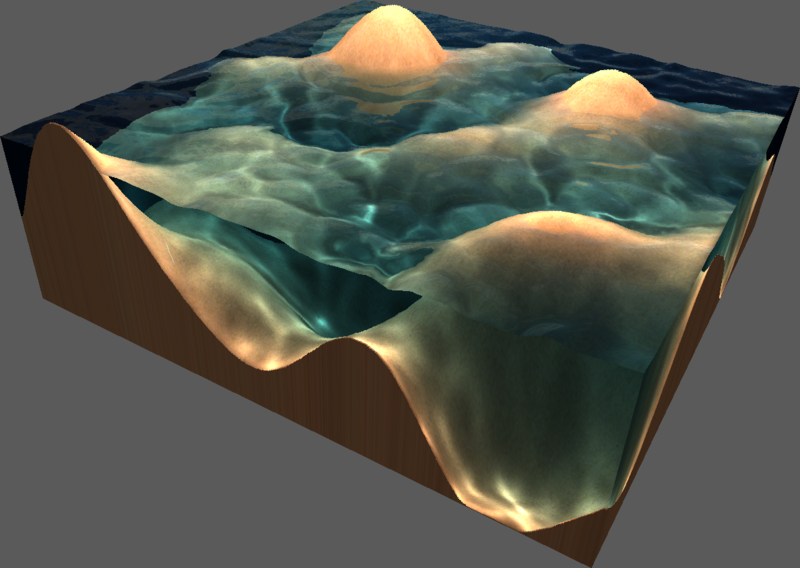 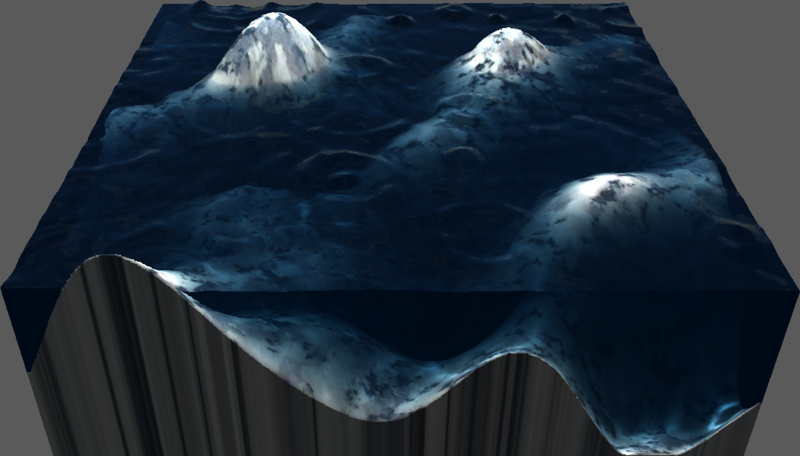 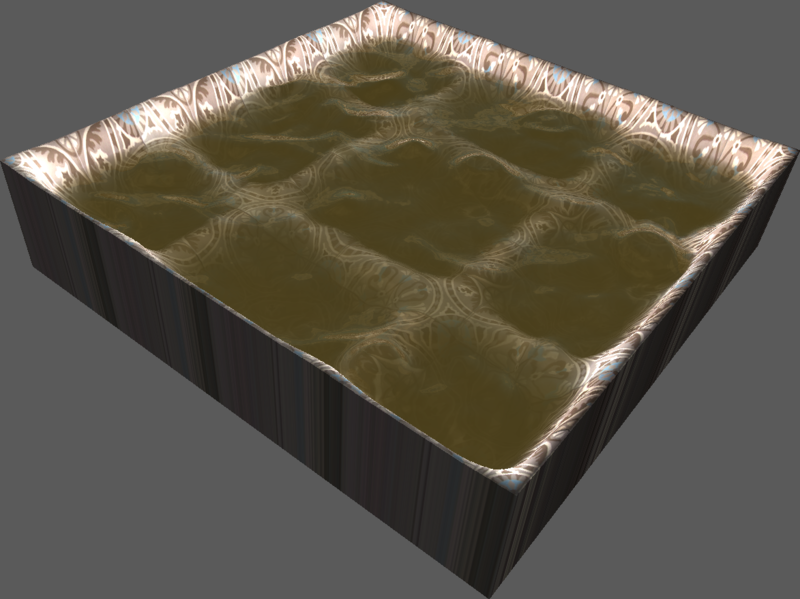 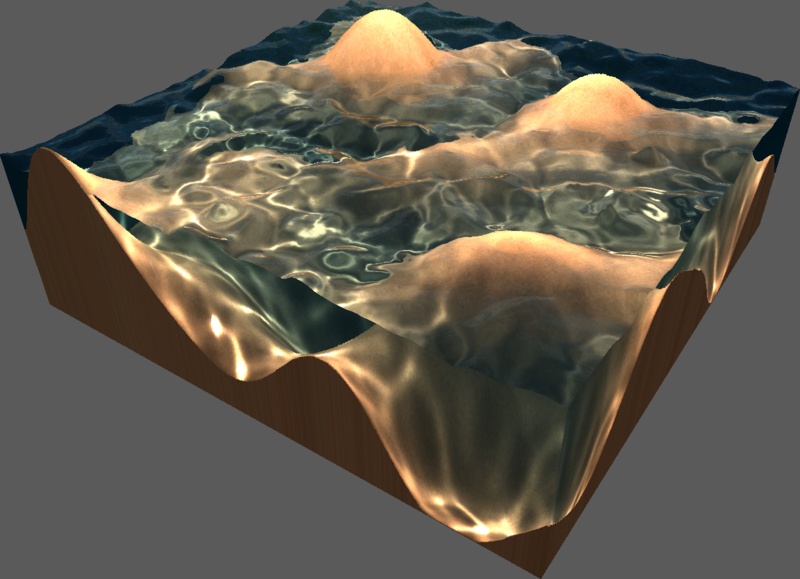 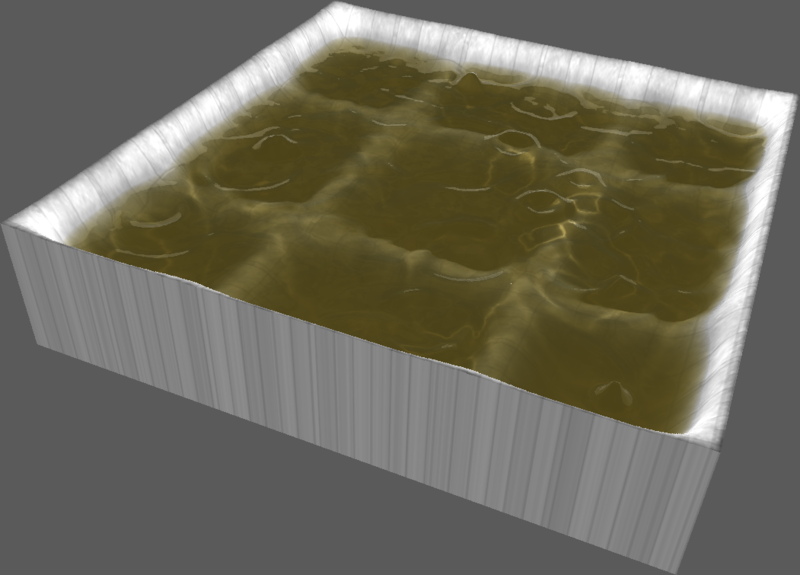 Water volumes are represented as the space enclosed between a ground heightfield and an animable water surface heightfield. 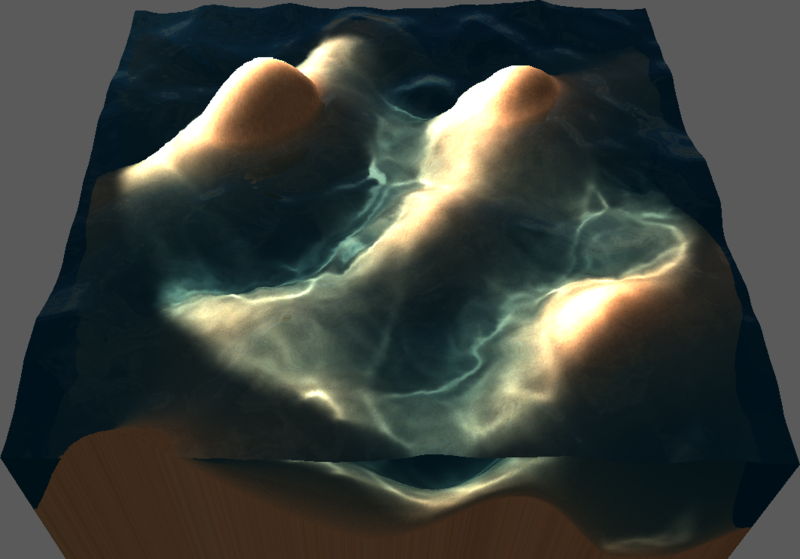 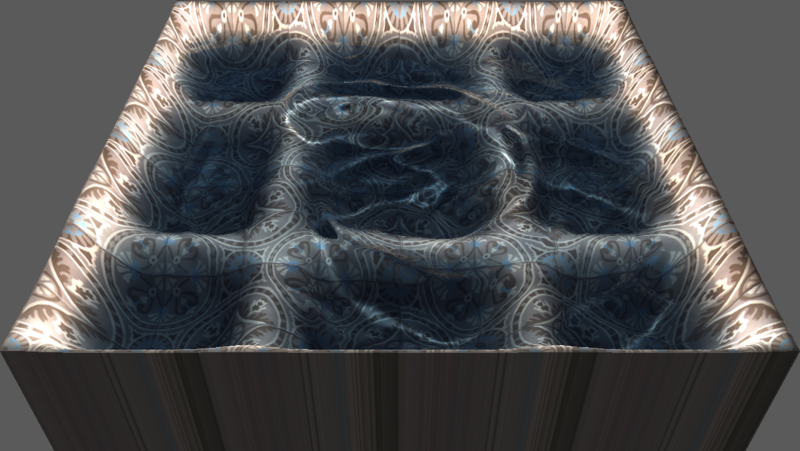 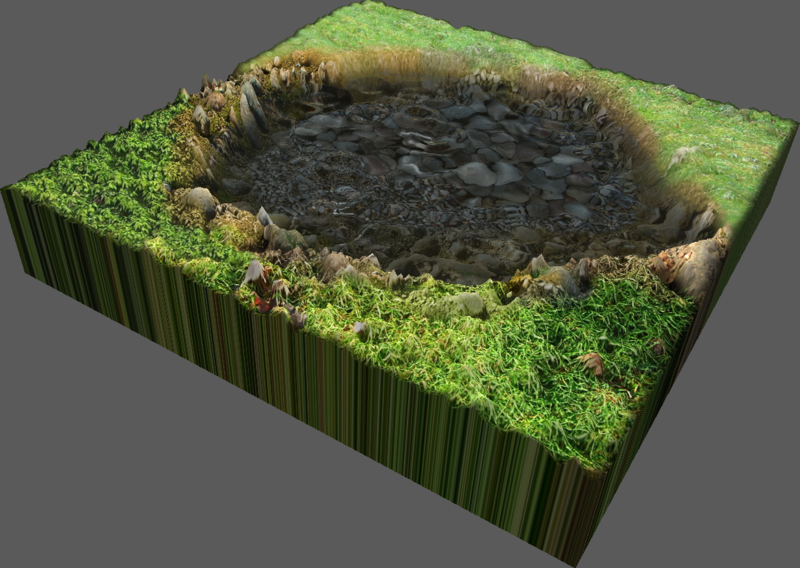 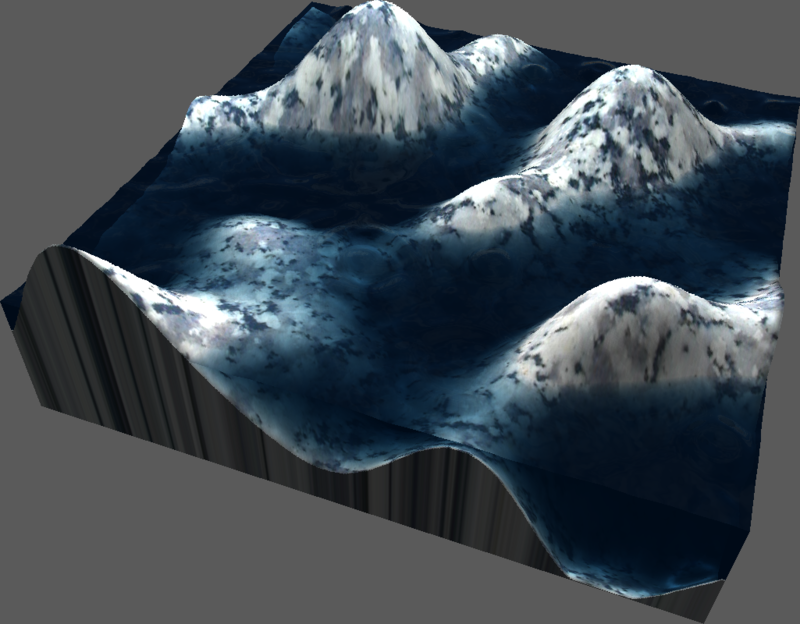 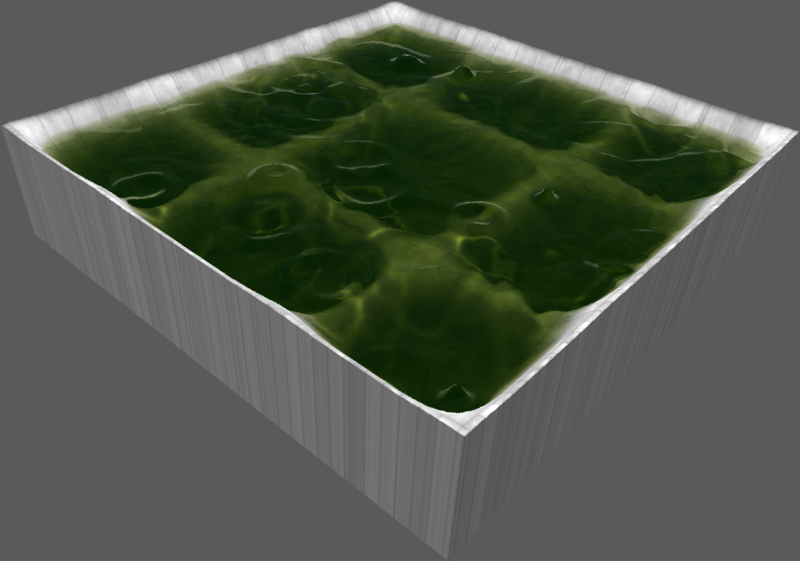 This representation allows the application of recent GPU-based heightfield rendering algorithms. 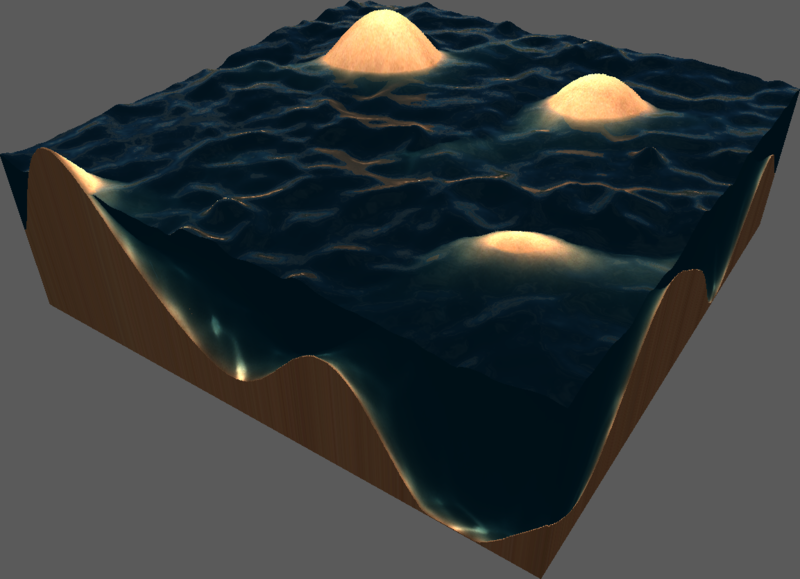 Our method is a simplified raytracing approach which correctly handles reflections and refractions and allows us to render complex effects such as light absorption, refracted shadows and refracted caustics. 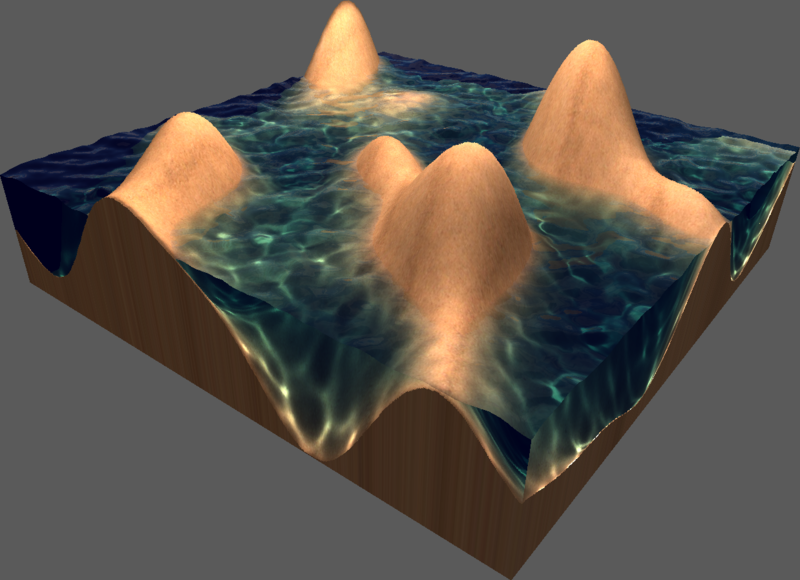 It runs at high framerates by exploiting the power of the latest graphic cards, and could be used in real-time applications like video games, or interactive simulation.